Being connected sounds so normal these days. Our phones can do things some computers were unable achieve some years ago. How often should you charge your iPhone so you can stay connected through all the day. Properly charging iPhone battery is a long discussion between iPhone users. There are many myths and beliefs on this subject. iPhone uses lithium-ion batteries so many of the myths are just myths. These include the memory effect, complete discharging, 100% recharging and many others. 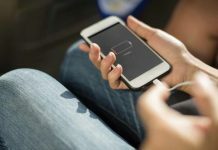 Trying to avoid living in fear of a fading battery while being out we all ask the same question: how often should you charge your iPhone to avoid shortening it’s lifespan. 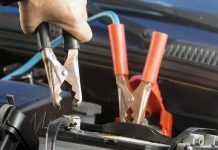 It is well known that incorrect battery recharging affects the capacity of the battery to store and hold a charge and sometimes premature battery death. Early nickel-cadmium batteries were suffering of this phenomenon of being stuck on a lower than maximum voltage and lower capacity after repeatedly recharging without completely discharge. Even if NiMH batteries don’t suffer of the same memory phenomenon they still experience voltage drops is charged incorrectly. 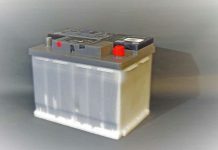 Lithium-ion batteries are technologically different of both nickel-cadmium and NiMH batteries. Being lithium-ion iPhone batteries need quite the opposite charging habits. So if you were asking yourself how often should you charge your iPhone to avoid the memory effect, you need to know that the iPhone batteries should be charged often to avoid complete discharge of the battery. Ever wondered how often should you charge your iPhone to avoid shortening it’s lifespan? 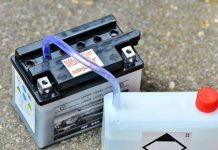 Manufacturers of early NiCd and NiMH batteries were recommending to completely discharge and then fully recharge the battery. Lithium-ion iPhone batteries are different of it’s predecessors. In fact lithium-ion batteries go bad if discharged completely or charged over 100%. This is why almost all the lithium-ion batteries include small charging controllers. If early batteries needed to be kept on full charge as much as possible, with iPhone batteries is not the same. 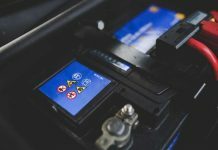 Lithium-ion batteries should be kept for storage on 80% charge. This avoids premature battery voltage and capacity loss. Some battery management apps are taking this into consideration and cut the charging of the iPhone battery when it reaches 80% charge and only allows a full charge once a month to recalibrate the battery. If you want to stop asking yourself how often should you charge your iPhone every time you connect your charger then better install one of these apps. iPhone batteries can be charged as often as needed without worrying of shortening it’s lifespan as long as you don’t reach 100% all the time. Even so, you should avoid recharging your iPhone battery too many times because every battery has also a lifespan in charge cycles. Too many incomplete repeatedly charges could damage your iPhone battery. It is not a good habit to leave the phone on charged for a long time. 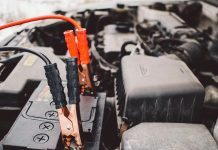 Charging the lithium-ion batteries after it reaches the full charge is strictly prohibited and should be avoided as they could overheat and even explode. This is where the charging circuit is stepping in and stops the charging once the battery is fully charged. Just wondering on how often should you charge your iPhone without worrying on the quality of the juice you pump in your battery is not enough. Generally speaking use a fast battery charger only if your phone manufacturer recommends it. Lately Apple has developed higher power chargers (5W and 12W) and recommends using only Apple chargers when charging your iPhone battery. iPhone 6 charging controller (Qualcomm PMIC) is smart enough and recognizes a bigger charger, using this to charge faster your iPhone battery. Just keep in mind that fast charging the battery leads to higher battery temperatures. If fast charging, watch your phone’s temperature, and avoid it to cool down. You could take out the case to help heat dissipate. If you plan to store your iPhone for a long time you shouldn’t worry on how often should you charge your iPhone. As a rule of lithium-ion batteries you shouldn’t leave your iPhone discharged, ever. Store your iPhone in a dry space at room temperature, 50% charged. Considering that the lithium-ion batteries discharge over time 5-10% a month you should recharge your iPhone every 3-4 months.